When I went to school at dinnertime you had three options, go home, take sandwiches or pay for a dinner. Having rather health minded/miserly parents, I ended up taking my own pack lunch to school. For some strange reason my school ran a kind of Um Bongo apartheid meaning all of us with packed lunches had to eat in a separate part of the school canteen. As most of my friends tended to enjoy the deep fried offerings the school served up it meant I tended to sit with people outside my usual social circle at lunch. 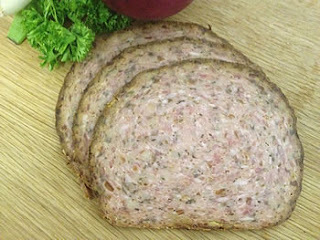 One time, whilst sat tucking into my haslet and pickle sandwich, for whatever reason I was talking to boy called Rob. For whatever reason we got onto the fact I'd recently read the Hobbit after my Dad bought to it. Turned out Rob was a huge Tolkien fan, he'd even read the "sequel", Lord of The Rings, but was really interesting was that Rob told my about how you could actual play a game within the world of Middle Earth, not playing characters from the books, but someone of your own creation. He then started to run me through a pretty simplistic adventure. I was a dwarf with a sword and a rope, stood before the entrance to a long deserted tomb. While the wind wailed and the rain fell, deep inside I could just make out the sound of goblin chatter, what did I want to do? I'd borrowed some of those Choose Your Own Adventure books before from the library before and enjoyed them, but your were also following a predefined path. Now I could do anything and go anywhere. Head inside obviously and within ten minutes I'd slain a number of goblins, fell in a pit trap, managed to get myself out (thanks to the rope) and was all set to head deeper into their lair when the lunchtime bell rang. As we made our way back to class Rob mentioned their was something called a Role Playing Club at my school that met ever Thursday after lessons. Like any newly hooked addict I needed to feed my addiction, but I had a quandary. In all schools the same social structure exists. I played football, rugby, cricket, ran cross country, threw javelin, spent my evenings ignoring homework and heading out till late trying to get off with girls. Trying in your studies just wasn't cool. Rob on the other hand was a well spoken, studious sort, a member of the school drama club who was always in the Christmas panto. If I started going to the RPG club I'd be crossing the line and I couldn't be certain I'd be allowed back across. I hit upon a solution, after last bell on a Thursday I'd tell all my friends I was going to my Aunties for tea, meaning I'd have to walk a different way home. I'd then proceed to loop round and go back into school via the back entrance on the fields and nobody was any the wiser as to my true destination. I'd did have a few close calls over the years, even having to hide in the girls toilets as I heard one of my friends leaving his lesson late following a telling off, but I managed to keep the pretense up. The club itself was run by one of the geography teacher, Mr Richards, the archetype of the young, right on, just qualified teacher, even down to the elbow patches on his jacket. 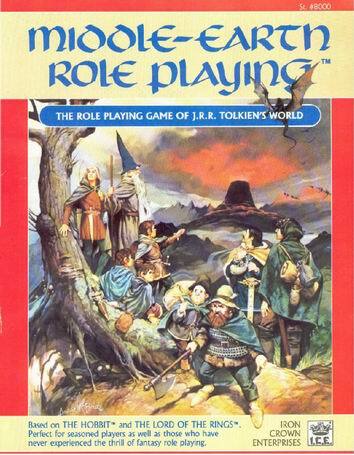 The game we generally played was Middle Earth Role Playing (MERP), the one Rob had introduced me to in the canteen. There were mainly boys there, Dave, Adam, Neil, Shane and, incredibly, one girl Elizabeth,who years later confessed to having a thing for me at school, a source of great regret considering the beautiful woman she became, but I digress. With MERP having sated my for a while I needed a bigger, stronger hit. I'd heard of something called Dungeons and Dragons, I sought it out, I pointed it out to my mother, I got the D&D red basic box set for my birthday. I devoured it, I bought the blue expert set with some birthday money the following day. I spent hours and hours just rolling up characters and creating back stories for them but being an only child had nobody to play with. RPG club was once a week and obviously wasn't on during school holidays, I couldn't cope without some kind of RPG fix for that long. I'd wander round the local Airfix Model shop, which for some reason was the only place that stocked RPG games and supplements. I bought the AD&D gamesmasters guide, Marvel Super Heroes RPG, Call of Cthulhu, but still the fire could not be dowsed. I drew maps, created worlds and adventures but what I really needed was to play with other people not just read and roll on my own. Luckily most of my club compatriots (but not Liz) felt the same and we agreed to meet up on a Saturday at Adam's house as his mum was out all day. So started something that would continue with very few breaks for the next 11 or 12 years, alternating between each others homes. We went through numerous systems, D&D, MERP, Rolemaster, SLA Industries, Runequest, Stormbringer, Ghostbusters (yes, there was a system based on the films), Cthulhu, Warhammer FRP, Teenage Mutant Ninja Turtles, to name just a few, but these Saturdays became more than just role playing games. One week Shane bought Talisman and then we could play board games too. Shane and Neil bought Warhammer 40K:Rogue Trader, so I did as well and before we new it we'd be wargaming sometimes. Most of us had Amiga's so computer games came into it to (Heroquest on the A1200 until 7am on one occasion I vaguely remember). 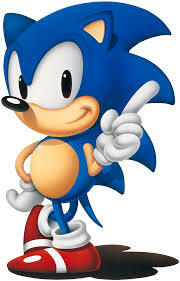 Dave bought along something called a Megadrive with a game called Sonic on it. Oh how we laughed at how poor and shoddy it was to the far better quality games available on the the Amiga, we knew there would only be one winner in that battle...oh. PC's bought us closer, but even now it is still never the same, to the actual RPG experience,, arranging our own LAN sessions in somebodies kitchen to play multi player without having to hot seat. Games, games, games and all the time I still managed to keep the charade up. I had two different sets of friends and never the two would meet. Gradually, as with all things, people began to leave. Adam moved away while we were still at school, Dave, possibly upset with our Megadrive ridicule, moved also. Myself, Neil and Shane carried on for years afterwards, before Neil finished Uni and moved due to work. Shane and I kept things going but, as with everything you get older and other commitments come along.. It's only really Shane who I've kept in touch with now, we're the last two left living in our home town, but when we do speak, it doesn't take too long for the subject to come round to gaming. Every now and gain we moot the idea of gaming weekend, while our respective partners are otherwise engaged, but so far it hasn't come to fruition. Those were the halcyon days of my table top life so far. I'm still the same addict I've always been, I still seem to collect rule books I'll never get to use at an alarming rate, but I've learnt to control my addiction, I've learnt there are others like me out there with a shared appetite for all things gaming and that is what helps to keep me sated. For now.